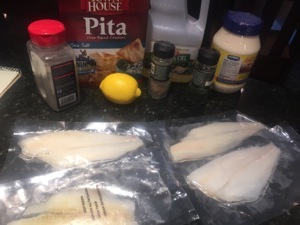 Thin fish fillets cook very quickly. But you don’t sacrifice flavor at all for speed. I love these individually packed fillets. I love these push tubes to measure ingredients like mayonnaise. 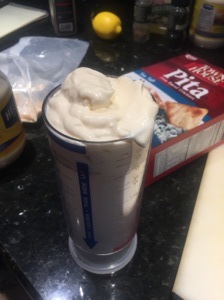 If you use a regular measuring cup you leave so much of it sticking to the sides of the cup. 1) Spread ground chips on a piece of wax paper or paper plate. Dredge fillets in chips to coat on both sides. 2) Heat 1 tablespoon of the oil in a large nonstick skillet over medium heat. Add half the fish and cook until just opaque and golden brown outside, 3-4 minutes per side. Carefully transfer to plates and tent with foil to keep warm. Repeat with remaining tablespoon of oil and fillets. 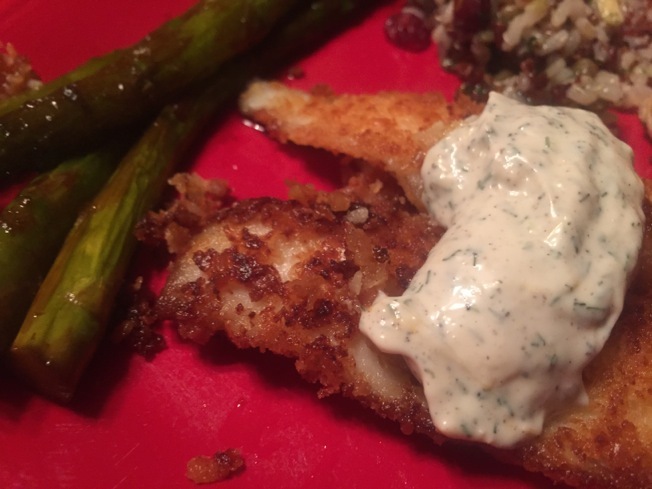 3) Combine mayonnaise, dill and zest in a small bowl. 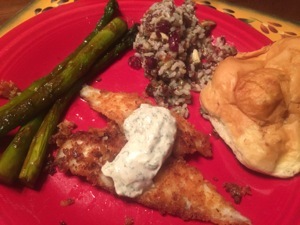 Season with pepper and serve alongside fish. Brilliant idea of using soy chips. Makes it so much more healthy. I love how simple this recipe is; I read a lot of food blogs and there’s been two emerging trends: one is obviously simplicity, but the other overwhelming one is an abundance of superfluous ingredients without understanding the true heart of what they’re making. This looks great; can’t wait to try!